HOWEVER. OUR LOCAL MICHIGAN UPPER PENINSULA SKI HILL, MARQUETTE MOUNTAIN, WAS SEVEN MINUTES FROM OUR HOUSE. SKIING SERVED AS DAYCARE, OFFERED A WAY TO HANG OUT WITH OLD FRIENDS AND MEET NEW ONES, EXERCISE, ENJOY FAMILY ADVENTURE, AND EVEN GAVE PHYSICS LESSONS AS I PAINFULLY STUMBLED THROUGH LEARNING TO SNOWBOARD AFTER AN EARLY CHILDHOOD ON SKIS. IT’S BEEN MUCH OF MY, AND MY FAMILY’S, EVERYTHING. MY HUSBAND AND I EVEN MET ON THE SKI SLOPES AT OUR CURRENT HOME MOUNTAIN, ELDORA MOUNTAIN RESORT, IN NEDERLAND, COLORADO. “normal,” and ultimately it’s one of the major reasons I am motivated to write about climate change, which directly affects what we hold most near and dear to our hearts (and pocketbooks): skiing. In a recent Gallup Poll (March 2017), 68 percent of Americans (the largest percentage since 2001) are now convinced that global warming is caused by human behavior, and 45 percent of those that responded “worry a great deal about global warming.” This is good news, as scientists are nearly unanimous in stating that human behavior is causing an already significant increase in global average temperature. According to the National Oceanic and Atmospheric Administration, 2017 was the third-warmest year on record for the United States (and the globe); surprisingly, this happened without the traditional warming effects of El Niño. The two other warmest years on record were 2015 and 2016, with 2016 experiencing the warmest average temperatures since global temperature record-keeping began in the 1880s. The main driver of this warming is the increasing concentrations of greenhouse gasses in the atmosphere. Carbon dioxide, methane, nitrous oxide, and chlorofluorocarbons are all potent greenhouse gasses derived from different sources related to human behavior and natural processes and are increasing at a rate unlike ever before in history. Carbon dioxide alone has increased a third since its pre-Industrial Revolution concentrations (NASA, 2018). As scientists try to predict what the impacts of climate change will be, they’ve used different complex computer models to foresee different possibilities. In this process, there are three commonly accepted scenarios that are important to understand, as they lay the groundwork for future snow predictions. Scenario 1, or RCP8.5 (representative concentration pathways), is business as usual. This model reflects where greenhouse gas concentrations will likely be if we continue on our current trajectory of industrial growth, resulting in an average of 8.8 degrees Fahrenheit (4.9 C) warmer than the pre-industrial averages and a CO2 level of 936 parts per million by the year 2100. Scenario 2 (RCP4.5) models a world in which CO2 concentrations stabilize at 650 parts per million by 2100 with an estimated 4.3 F of warming (2.4 C). The third scenario (RCP2.6) reflects CO2 levels stabilized at 490 parts per million and temperatures increase on average 2.7 F (1.5 C) (Protect Our Winters Economic Report 2018, & Riahi et al., 2011). The last scenario, RCP2.6, banks on the collaborative effort of all nations to combat climate change, including speedy action on renewable energy transitions, innovative carbon capturing techniques, an overhaul of our current agricultural system, and an unwavering commitment to agreements like the Paris climate agreement. It relies on a radical and quick transition to a new way of thinking and behavior surrounding energy, including where it comes from and how it is used. No matter how relentless climate change may feel, it is possible for the world to quickly curb its carbon emissions and keep CO2 levels under 490 parts per million, but it’s also important to keep in mind that global CO2 levels are currently settling around 405 parts per million. We have a lot of work to do in a short amount of time. On a positive note, there will be snow for the foreseeable future. However, today’s snow and its seasonal patterns are different than what many of us experienced as children. With a warming climate, we are seeing what was previously snow fall as rain, and it’s happening more frequently at lower elevations. Warmer spring temperatures are affecting regions across the U.S., resulting in less snowfall overall and changing its distribution when it does arrive. Research done by Justin Mankin and Noah Diffenbaugh et al. in 2015 shows both the Eastern and Western United States will experience more rain in the winter months. 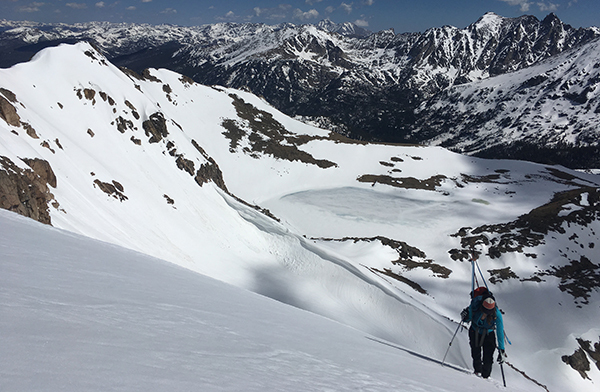 This reduction in snowfall, combined with warmer temperatures, will lead to a quicker late-season melt of the snowpack, shortening the ski season and reducing the frozen water in reserve for drinking water throughout the summer months. In Colorado alone, almost eight out of 10 glasses of water from the tap is from snowmelt. Protect Our Winters is an organization of winter sport enthusiasts founded by professional snowboarder Jeremy Jones in 2007 to, according to its website, “focus on educational initiatives, political advocacy and community-based activism” in the pursuit of positive climate action. In February 2018, Protect Our Winters released a dynamic economic report highlighting the impacts of climate change on the U.S. snow sports industry. According to this report, in 2016 the U.S. ski and snowboard industry supported over 191,000 jobs with nearly $6.9 billion in wages earned. When accounting for all things related to this industry, including transportation, food, and other expenditures, the number jumps to $11.3 billion in 2016. 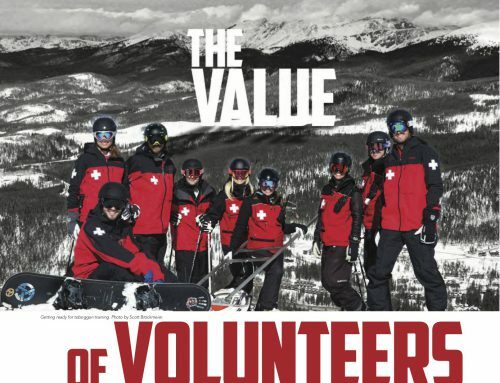 In the small mountain towns where many of us work, volunteer, and recreate, snow is money. It’s the economic livelihood of the places we call home, so when patterns start to change and the normal winter routines aren’t reliable, ski resorts, and the many companies and industries that rely on them, suffer the consequences and have no choice but to adapt. According to the Protect Our Winters Economic Report, the U.S. fosters the second largest ski industry in the world (second to Europe), yet since the 1980s the number of ski resorts declined from over 700 operating ski resorts to 460 today (Vanant, 2017). The majority of the industry is currently managed by several large corporations that are able to more successfully absorb the year-to-year variations in snowfall and skier visits while the smaller resorts are struggling. 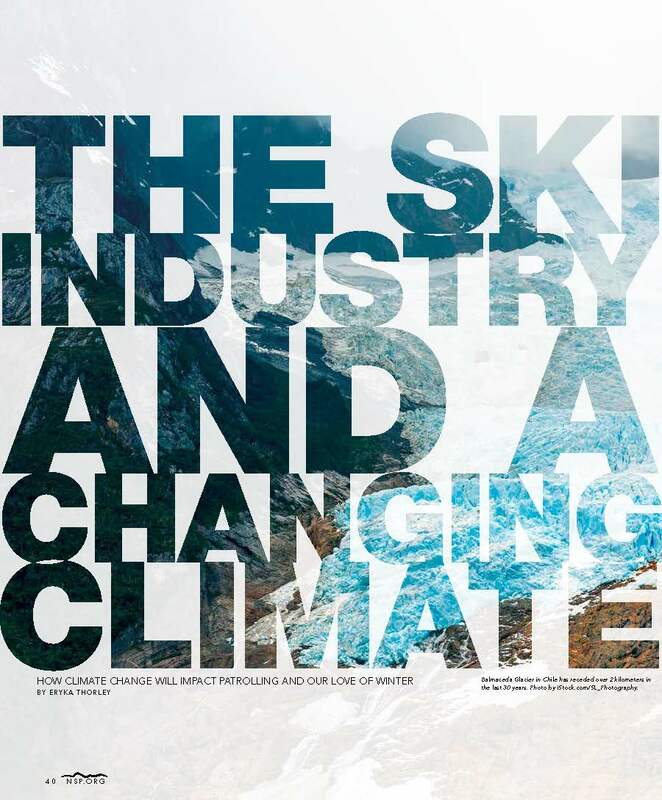 In addition to the variability in landscape (owning resorts in many regions of the country and thus maximizing their snowfall potential), large ski corporations can tap into capital for investments to reduce the impact of climate change, such as increasing snowmaking and summer activities to support year-round revenue. is now actively seeking ways to mitigate the impacts of climate change. 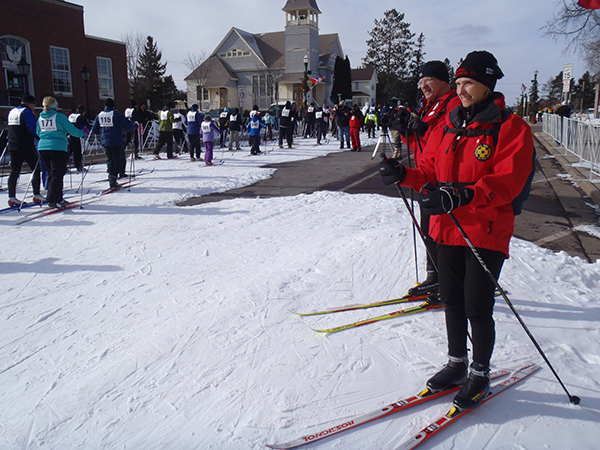 The Birkie brings in nearly $25 million to the local area, and according to Executive Director Ben Popp, “80 percent of the people that do the Birkie will return to this area sometime outside of the race (Protect Our Winters Economic Report 2018).” These two towns can’t afford to lose the revenue and exposure from the Birkie, so race officials are working hard to adapt, including a multi-million dollar investment in snowmaking equipment to carry them through warmer temperatures and maintaining and exploring diverse race events like trail running and the Fat Bike Birkie, which attracted 500 riders in its fifth year. The Birkebeiner may not have natural snow for every race to come, but they are working hard to maintain their tradition with creativity and community support. 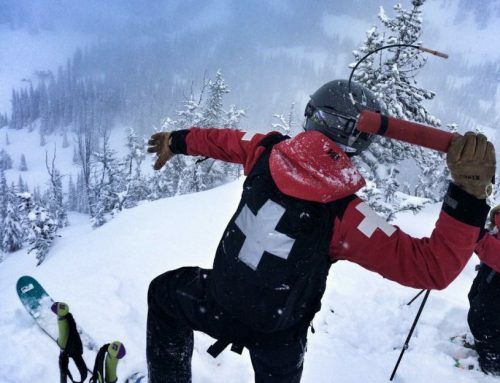 There are a number of ways these warmer temperatures and low snow totals will impact the health of the ski industry. Resort employees all know what happens when Mother Nature doesn’t deliver and employees are laid off or jump departments. Typically at Eldora, it’s that awkward time in the season when the snow hasn’t yet arrived or temperatures have not been low enough for adequate snowmaking (28 F) and you’re not sure if you can take Thanksgiving or even Christmas with your family as everyone is “on call” waiting for the ideal forecast to strike. to pay for a ski ticket and how often we catch the bus up to our local hill. 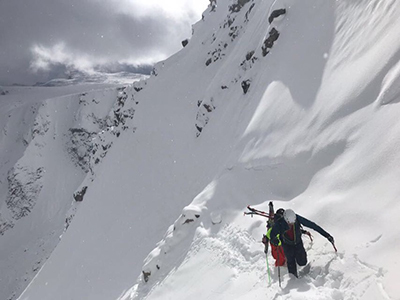 According to the Protect Our Winters Economic Report, a 10-30 percent reduction in consumer surplus (the value we place on skiing) would lead to a $430 million to $1.3 billion loss, assuming the average skier visits from 2001-16. On the flip side, a high consumer surplus results in a greater likelihood that a skier will return to the same resort, recommend it to others, and potentially pay more for the experience in the future. If you don’t see snow out your window, are you as inclined to go skiing? The answer is probably not. The warm winter days at lower elevations are when your mountain bike or a trail run may be calling. It’s hard to keep people motivated to ski when the backyard is warm and sunny. With future temperature projections and their impact on lower elevations, this may have a big influence on how many people ski in the future. Denver is now the 73rd city in the United States to commit to 100 percent renewable energy. 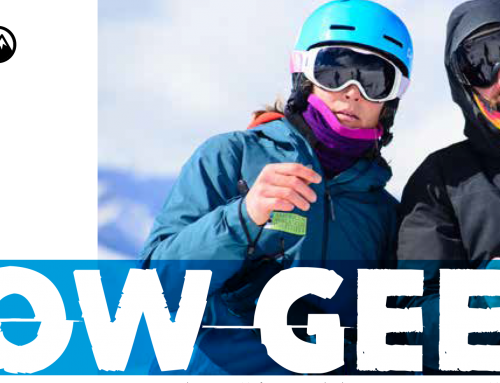 Not only is it good for human health and the environment, it’s a smart financial investment and helps protect one of the largest industries in Colorado, snow sports. In August 2017, Nederland unanimously adopted a 100 percent renewable energy resolution for its electric grid. According to the Sierra Club, Nederland was the 42nd city in the U.S. to commit, and it was the support of the local ski resort, Eldora, and 500 other businesses and locals in town that made it happen. In May 2018, just nine months after its adoption, Nederland’s board of trustees signed its entire municipal electricity demands to a local solar garden contract for the next 20 years. This accomplished the first of Nederland’s milestone goals toward 100 percent renewable energy, with all residents and businesses to follow by 2025. Without adjusting for the true cost of carbon, renewable energy is now directly competitive with fossil fuel-based energy sources like coal and natural gas. 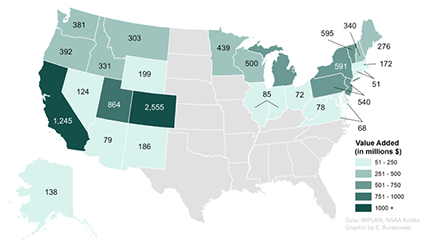 In Colorado, Xcel Energy provides the majority of electricity, covering almost 85 percent of state residents. In November 2017, Xcel received bids for over 50,000 megawatts of new renewable energy projects in Colorado, including wind, solar, and battery storage capacity. In early spring 2018, these numbers were updated to adjust for the 30 percent solar tariff decision that was passed in January. Not surprisingly, the median wind price still came in below 2 cents per kilowatt hour, solar at just over 3 cents, and solar with photovoltaic storage just under 4 cents per kilowatt hour. 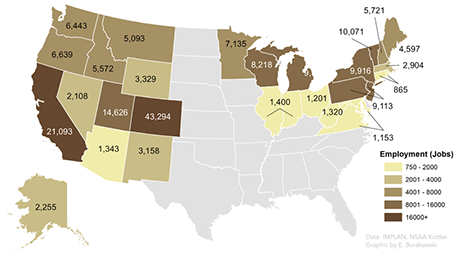 These are some of the cheapest renewable energy bids in the country. According to the International Renewable Energy Agency (IRENA), the price of solar has dropped approximately 80 percent since 2009, and the price of wind has dropped 30-40 percent. According to Carbon Tracker, an independent think tank based in London that “carries out in-depth analysis on the impact of the energy transition on capital markets,” what makes the recent bids by Xcel so extraordinary is that wind with storage is now cheaper than coal-generated power, and solar with storage is cheaper than around 75 percent of coal power in Colorado. Renewable energy is cheaper than it’s ever been and will continue to grow more so with advances in technology and market competition. Coal is not coming back. 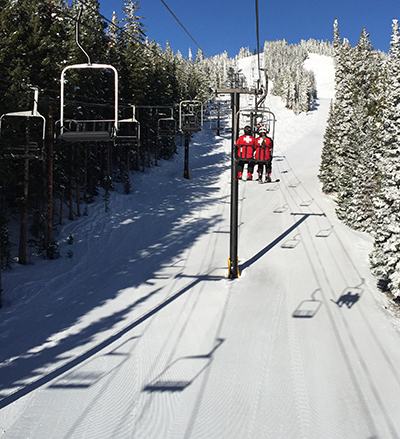 In June 2016, it was announced that Powdr Corp. purchased our local hill, Eldora Mountain Resort. 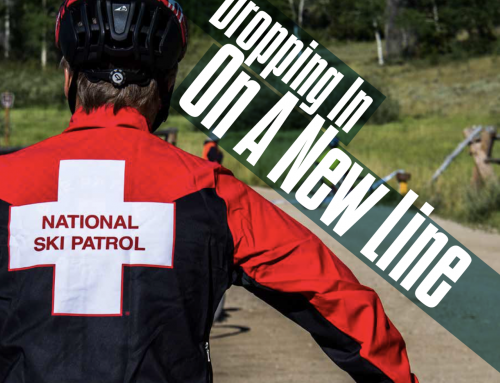 As a family of patrollers, we were apprehensive about the purchase and what it meant for our winter livelihood. We were told that things would stay as they were for the first year as the new owners observed and evaluated how the resort operated. This was true, outside of a few upgrades, as Powdr patiently observed Eldora for a year to better understand its unique culture and operations, including its carbon offsets and renewable energy credits. As a ski patroller and local renewable energy advocate, it was phenomenal to have support from Eldora in Nederland’s recent 100 percent commitment to sustainability initiatives, including LED changeovers and solar array discussions. Powdr Corp.’s 2016 statement committing to the Paris climate agreement after President Trump pulled the U.S. from its prior commitment further summarizes what they believe in. Udall further explained the impact of resorts joining the Protect Our Winters alliance and getting involved formally with climate campaigns. It’s important that we all use our leverage as employees at both small resorts and large resorts to amplify our voice with resort leadership groups and investment teams. It’s the ski boots on the ground communicating and advocating for the environment that will make a difference. According to Udall, there are three steps your ski resort needs to take to become an official partner with Protect Our Winters. 1. Your resort must commit to walk the walk and focus on all aspects of their supply chain. The economics are an easy sell, but it’s important that resorts or companies commit to sustainability. 3. 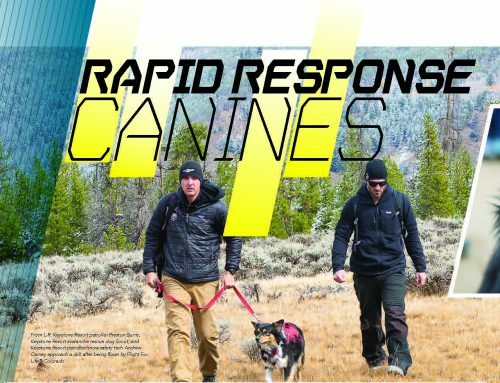 Lastly, there needs to be an outreach component, including an après ski engagement or leadership team and employees to support this endeavor. It’s important to engage employees on climate change and bring in groups like Protect Our Winters to provide the opportunity to learn more about this issue and discuss it. Our daughter’s name is Wynter, which her father and I couldn’t have found more fitting as we were naming her. Often, I think about what I will tell her 15 years from now when she is a teenager questioning everything in this world. I think about what I will say when she asks why we didn’t do more to curb climate emissions when we had all of the solutions at our fingertips, when she complains that there isn’t enough snow for Christmas or her ski practice is cancelled. I don’t yet have an answer, but I tell myself that every time we talk about it, every time we have that challenging conversation with our conservative family members or stumbling debate with our skeptical evangelical friends, that we’re getting closer to where our future needs to be, where Wynter’s future needs to be. A sustainable renewable energy-fueled future is our only option. We must find a way to manage our resources and needs in a way that allows the natural environment to flourish. This transition will happen one way or another, and the faster we make it, the less the impact on our beloved winter and each unique, beautiful white snowflake.